Indeed, the impact of the freelancing in today's society cannot be overemphasized. Freelancing rewards you not just from the financial point of view but also equips you with wealth of skills, exposure and expertise in your area of specialization. As a matter of necessity, Techpoint.ng stands in agreement with Oyerr.com to encourage freelancing in Nigeria. Speculations have been made over the future of freelancing in Nigeria, including newspaper houses and blogs. The result, based on the impact so far , indicates that freelancing may be "the future of work in Nigeria". As reported by Techpoint recently "In 2016, Punch reported that online freelancing may be the future of work in Nigeria. The reason for this speculation is not far-fetched. Over time there has been increase in freelancing activities and Nigeria freelancers have had the opportunity to access projects across the African border. As freelancers keep sprouting, local players in the freelancing marketplace are also emerging". In line with this pattern of economic development, Oyerr.com creates a freelance-made-easy platform for digital task categories including Graphics/logo design, Marketing/Advertising, Writing and Translation, Fun ,music, Programming, Research, Business services and lot more. 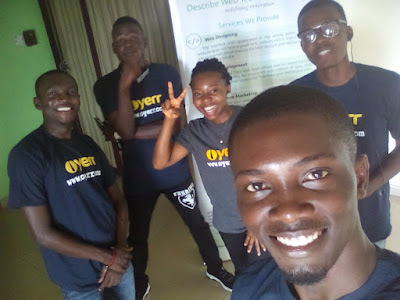 Oyerr offers you an achievable comfort that a freelancer deserves including saving you the stress of job seeking, making good money that you may not have earned doing an office job. The activities going on Oyerr are worthwhile, you can become part of this increasingly growing platform for free, get engaged and have a testimony to share. Get Started today!